“Could you get some avocados so we can make guacamole? Oh, and some cotton balls?” your daughter asks as you walk by. Eggs, apples, napkins, avocados, cotton balls. Got it. “Can you get me some tea bags, please,” another daughter adds. Eggs, apples, napkins, avocados, cotton balls, tea bags. No problem. You feel your list quickly approaching the line that says Too Much. That’s it. You reach for the nearest pencil. It has probably happened to you too. What was a relatively simple and manageable task has become overwhelming. Looking back, you can easily see how it happened. The process of adding one more thing, then one more thing, then another one resulted in crossing the line into Too Much. It’s pretty easy to recognize that shift with a shopping list. But somehow it’s not as obvious with homeschooling. You start out with a mental list of priorities: read and discuss good books, practice spelling and writing, accurately calculate numbers, cultivate good habits of character, appreciate good art and music, love God and His Word. That doesn’t seem so overwhelming. But then others start to offer one more thing. So you add one more thing, then one more thing, then another one. What used to be a relatively simple and manageable task becomes increasingly overwhelming. Soon you wonder why homeschooling seems so stressful and why you’re not enjoying it any more. You have crossed the line into Too Much. How do you stay away from Too Much? How can you keep things simple and manageable? The same way you do with a shopping list. Ask yourself the same three questions that you do when you’re going to the store. When your daughter tells you that you need to put cotton balls on the shopping list, you first check to see if you already have some on hand. It might be that she just didn’t look in the right place. Do the same with activities and curriculum. Ask yourself, “What is the purpose of this item? Is that purpose already being accomplished in my home school?” Look past the trappings and the outer show and think about what you hope to accomplish by adding the item. Do you already have something in place that can accomplish the same thing? It might accomplish it in a little different way, but if it is accomplishing the purpose and it is already in place, you don’t need another one. 2. Is this the best one? Once you have determined that you do, indeed, need avocados, you take some time in the produce section to find the good ones—the ones that best meet your criteria. If you can’t find any good ones, you don’t buy them. Do the same for homeschooling. Make sure the proposed activity or curriculum resource meets your standards. You are under no obligation to download or use every resource or opportunity that comes along. Look for good quality that will fit well with your goals during this season of life. Be a picky shopper. 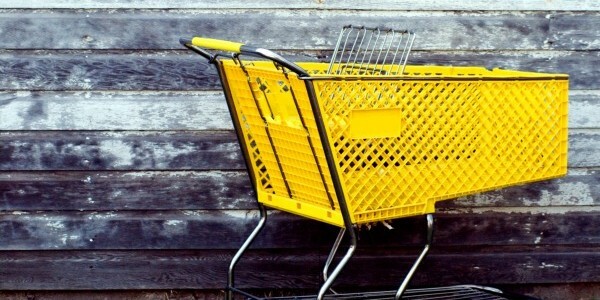 If you can’t find what you’re looking for, don’t add it to your cart. 3. Can we afford it? As you find the store items on your list and place them in your shopping cart, you are probably careful to keep track of how much money you are spending. If you go over your budget, you’re not afraid to remove items from the cart and put them back on the shelf. Most homeschoolers are careful about spending money, but few are as careful about spending time. That’s where homeschoolers tend to cross the line into Too Much. They spend almost all of their time, rather than budgeting it and keeping some in reserve. Reserve time, unscheduled time, is crucial. Reserve time, unscheduled time, is crucial. Your children, and you, desperately need unhurried time in which to process ideas, to explore interests, to create, to internalize, to form relations, to know deeply. Such a gift of time is sadly lacking in today’s world. In fact, busyness is seen as a sign of worth; yet such a perception couldn’t be further from the truth. Busyness is what can prevent you from reaching your child’s heart. Busyness is what can prevent your child from thinking deeply, forming just opinions, growing in wisdom, and really knowing. Isn’t that why you’re homeschooling in the first place? To shape your child’s heart, character, and beliefs, and to encourage him to think deeply and know in his heart what is most important. How sad if, under the heavy pile of Too Much, the most precious resource slipped through the cracks—the resource of time to contemplate important things. It’s easy to complain, “If I just had more time,” when the solution is, rather, strictly budgeting the time you spend on activities and assignments and keeping the rest in reserve for thinking, exploring, and processing. So prayerfully set a time budget and guard it with zeal. If a proposed activity or curriculum addition is going to put you over your time budget, take that item out of your cart and put it back on the shelf. 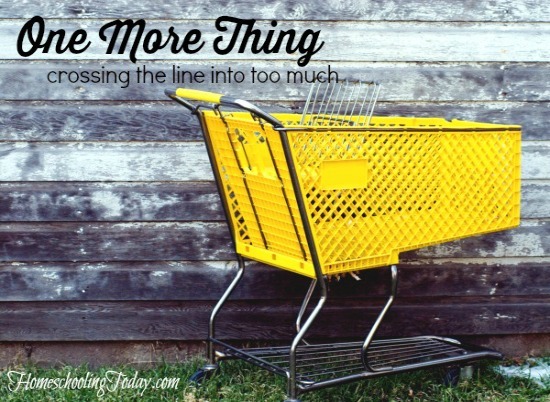 Have you crossed the line into Too Much with your schedule or curriculum demands? 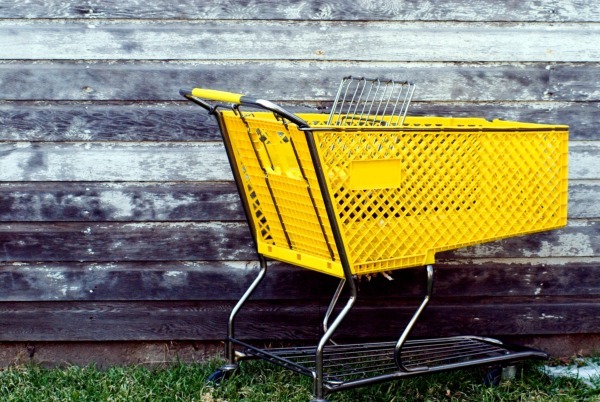 It’s not too late to take a good look at what is in your cart. In fact, you might want to pull everything out and line it all up for review. Pray over what you see. Look for unnecessary duplicates. Determine if each item is the best fit to help you reach your goals in this season. Make sure you have a generous supply of unscheduled time. Then when you’re ready, start to reload your cart. And as you do, be sure to put in what is most important before you add one more thing. Sonya Shafer is a popular homeschool speaker and writer, specializing in the Charlotte Mason Method. She has been on an eighteen-year adventure studying, practicing, and teaching Charlotte’s gentle and effective methods of education. She co-directs simplycharlottemason.com, a place of practical encouragement and help to homeschoolers. This article was originally published in the Spring/Summer 2014 issue of Homeschooling Today. Order your subscription now!